Whether her thing is the drum line, jazz band or symphony orchestra, the drums virtuoso African American female personalized Christmas ornament will put a smile on her face. We hand letter her name and the year, at your option, onto these musical instruments ornaments personalized to be special keepsakes. 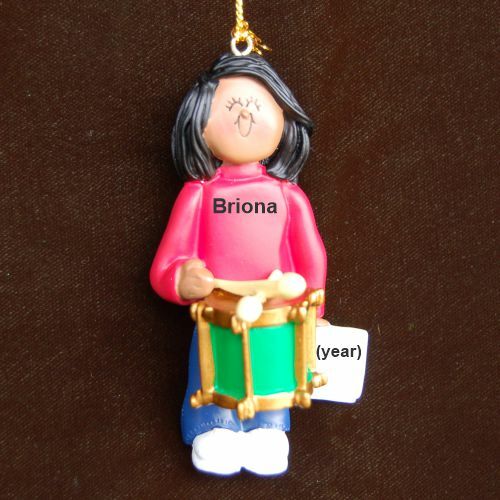 A golden cord offers easy display of the female drums player personalized Christmas ornament that arrives in our plush and pretty velvet drawstring pouch.